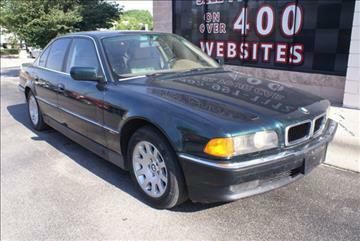 This is a 2003 BMW 760 LI. The car has a refrigerator in the backseat, power everything, and navigation, even massage on the driver seat! If you don't want the sun shining on your back seat passengers, you can lower shades on the windows with the press of a button! f you know the type of car, you know the type of issues that are common and costly. These have already been dealt with. Here's a list of what's been fixed, all by a BMW Certified Tech. I took meticulous care of the car and can send you receipts if you would like see them. The following has ALREADY been done! !Weephole coolant leak fixed ($2,500 cost) New Integrated supply module New valve cover gasketsNew fuel injectorsNew BatteryAlternator bracket leak fixedNew radiator hosesNew tank vent valves1 new HPFP ($3,000 cost)New transmission panNew mechtronic sleeve, and adapterNew beltsNew pulley/idler and another piece that goes in that areaoil changecarbon cleaningDMTL pumpfuel filter12 coils12 spark plugs3 new tires (was four, one hit a pothole and is in the trunk) This car is a head turner! I list the good and the bad about the car, the car needs brake linings (it brakes fine, but the light came on). Also, CEL for a cylinder 3 misfire (but the car runs completely smooth). These are both very minor repairs, the reason I am selling is the car is I bought a new car, and am looking for a quick sale, which is why I am also giving the great price. Car looks great on the outside and inside. I am willing to ship the car, if you pay for shipping and arrange it. I'm a private seller, so this is as-is, with no warranty. I will consider any reasonable offer. 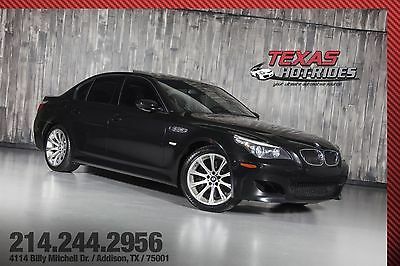 2008 BMW M5 BMW M5 2008 BMW M5 5-Series, Leather, Black on Black! 5.0L V10! 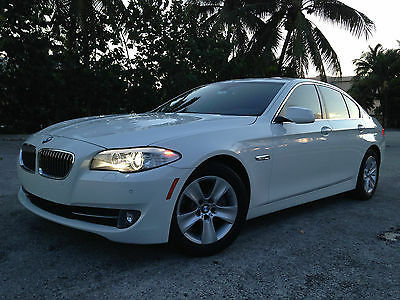 2013 BMW 528I. Black Nappa leather. Comfort access (full keyless go), heated seats, premium package, GPS, parktronic, back up camera. Non-smoking, extra clean car. In-service date (first time sold) is 01/2014. Full factory warranty. No paintwork. Original MSRP: $55,095.00 All keys and books. Still looks, smells and runs like new. Clean Carfax, no accidents. No dealer fee. We are FL State licensed car dealer. FL residents will pay tax and registration fee. We can help with shipping and exporting. If you have any questions, please call: 954-865-9964. 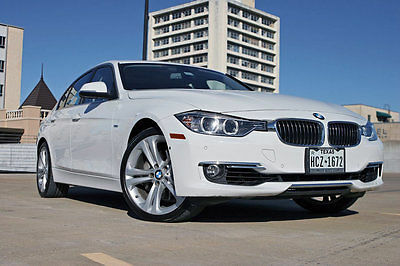 2013 BMW 3-Series BMW 335i Luxury Sedan CPO Certified Pre-Owned, 335i, Turbo, Loaded, Like new, Luxury Package. Detailed item infoModel Overview The 2012 BMW 7-Series is available in a wide range of models--and in two different sedan body styles. Models designated with an 'L' get five inches of additional wheelbase, most of which goes to additional back-seat legroom. 740i and 740Li models get a 315-horsepower, 3.0L in-line 6-cylinder engine and a 6-speed automatic transmission. The all-aluminum engine has twin turbochargers, variable-cam technology and direct injection, which help the engine produce strong torque output at low revs--a full 330 pound-feet from 1,600 rpm. BMW 750i and 750Li models make 400 horsepower and 450 lb-ft. When equipped with the available all-wheel drive system (called 750i xDrive)--which helps improve on-the-road traction and stability and normally sends 60 percent of power to the rear wheels--the 7-Series can get to 60 mph in just 5.0 seconds, according to BMW. At the top of the lineup is the flagship 760Li, with a V12 engine making 535 horsepower, running through an 8-speed automatic transmission. Two other models cater to very specific crowds, radically different from each other. The Alpina B7 gets a special 500-hp, twin-turbo version of the V8, huge 21-inch wheels, and Dynamic Damping Control with Active Roll Stabilization, an adjustable suspension system designed to bring the handling benefits of a high-performance sedan without the harsh ride. There's also an ActiveHybrid 7 model that combines a 4.4L twin-turbo V8, 8-speed automatic transmission, and electric motor system with lithium-ion battery technology, enabling zero to 60 in just 4.7 seconds while capable of achieving an EPA 17 mpg city, 24 highway. All 7-Series models come with a Brake Energy Regeneration system that helps save energy by managing the alternator to charge more when coasting or braking. The 7-Series also has a host of electronics that not only help increase safety and stability but help the 7-Series drive like a smaller sedan. xDrive models also come with Hill Descent Control, which can help keep speed within a set speed between 6 and 15 mph on very steep, slippery (snow-covered or icy) inclines. There's also an Integrated Chassis Management system that individually applies the brakes and throttle individually and helps xDrive-equipped cars handle better. All 7-Series models come with an excellent double-wishbone front and multi-link rear suspension, bringing a very responsive feel without ignoring ride comfort. Long-wheelbase (740Li and 750Li) versions come with a self-leveling air spring system for heavier loads, and back-seat space in those vehicles is vast. The front seats in all 7-Series models are firm but long-distance comfortable, and very adjustable. Electronic Damping Control, which gives the driver a choice of Comfort, Normal, Sport and Sport Plus modes, also comes with all 7-Series models. It controls the attitude of the electronic stability control system, along with throttle responsiveness, shift behavior and steering assist. The optional Integral Active Steering system adds even more responsiveness, by actually steering the rear wheels (less at higher speeds) to help with maneuverability up to about 75 mph. Available high-tech features in the 7-Series include swiveling adaptive bi-xenon headlamps, a head-up display, Active Cruise Control with Stop-and-Go,. And for those who prefer to have others do the driving, there's a Luxury Rear Seating Package that brings rear ventilated seats with massage. 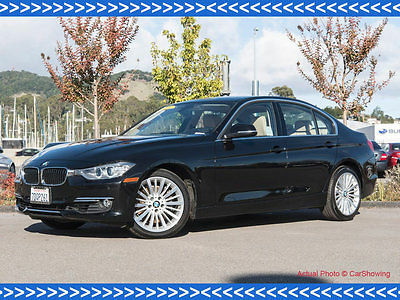 Gorgeous METALLIC DEEP SEA BLUE on a LIGHT BEIGE leather interior HEATED -COOLING FRONT SPORT SEATS 2012 BMW 750LI XDRIVE Sedan ...................AWD........ Gorgeous car!!!!!!!!....... VERY LOW LOW MILEAGE Only 19,700 miles....................4.4-liter 8-cylinder TWIN TURBO engine with AMAZING POWER and SMOOTHNESS ( One of the best engines made)............Auto Transmission.....THAT BEAUTIFUL 2012 BMW 750LI XDRIVE (ALL WHEEL DRIVE) CAME WITH ...NAVIGATION WITH VOICE , POWER SLIDING SUNROOF AND TILTING TOO LEATHER SEATS , SPORT+, SPORT, COMFORT+. AND COMFORT DIVE MODES, PREMIUM 19'' ALLOY WHEELS. XENONS WOOD TRIM , PREMIUM SOUNDS SYSTEM, COLD WEATHER PACKAGE, REAR VIEW CAM , WITH PARKING ASSISTANT, DUAL POWER SEATS AND U CAN CONTROL PASSENGER SEAT FROM DRIVER PAD CONTROL, POWER LIFT GATE , BLUETOOTH , PREMIUM PACKAGE..... .Am/fm/CD ...SATELLITE RADIO ...IPOD/USB ADAPTER ,PHONE BLUETOOTH..........FRONT AND REAR ALERT PARKING SENSORS.........PUSH BUTTON START ON/OFF.....................DUAL FRONT AND REAR CLIMATE CONTROL ZONES..........REAR HEATED SEATS ....................Soft Close Vacuum doors..............POWER FOLD MIRROR............EXECUTIVE PACKAGE............Power windows...................Key less Entry.......Push Button Start.......….RAIN SENSING WINDSHIELD WIPERS which is camera based behind the windshield which senses any drop of rain and automatically activates wipers..Power FOLD mirrors.........Premium BI XENON headlights ...........Fog Lights................Cruise control........Stability control.....,.HEATED Steering wheel controls.. FRONT HEATED AND COOLING SEATS , MASSAGES FRONT AND PASSENGER SEATS NAVIGATION, FRONT AND REAR PARKING SENSOR , REAR SHADE , VACUM DOOR , BACK SEATS MUCH ROOMY,,,MORE AND MORE ...... This vehicle is in GREAT condition in/out and looks AMAZING!! !..........In awesome awesome shape!!! !..........Absolute gorgeous color combo and is a must on any BMW and just looks amazing!!! 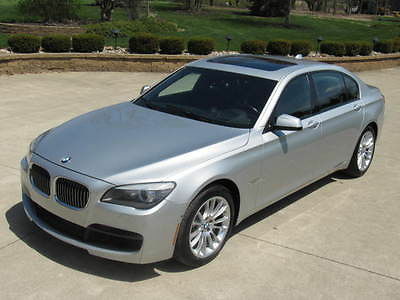 !.......One of the hottest 2012 BMW 750LI XDRIVE sedans anywhere!!!!!!!! ***********Note: Please do not place a bid on these vehicles and ruin our auctions and a fair chance for other bidders unless you have been PRE-APPROVED by your bank/credit union ...This is a NO TOLERANCE policy and you will get reported to Ebay for non payment!!! ************ REASON FOR MICHIGAN REBUILT TITLE(REBUILT TITLE MEANS ROAD READY // CAN BE TITLED AND REGISTERED IN ALL STATES WITH EASE, SO BID WITH CONFIDENCE.).................. 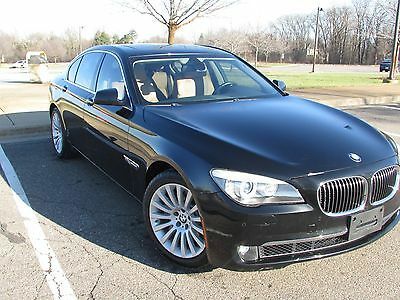 This GORGEOUS 2012 BMW 750LI X DRIVE EDITION will come with a Michigan Rebuilt Title due to a(PREVIOUS) VERY MINOR FRONT BUMPER damage .............WE REPLACED FRONT BUMPER WITH OEM NEW PART FOR A CLEAN JOB DONE// BID WITH CONFIDENCE.........................This SHARP 2012 BMW 750LI X DRIVE Looks GREAT/DRIVES PERFECT LIKE NEW !! !Since then it went a state inspection and issued a Rebuilt title mentioned above...........Similar(clear title) models ( 2012 BMW 750LI XDRIVE ) retail for over $57,000 But you might get this for less with YOU BEST OFFER ......AND IF U ARE SERIOUS BUYER U CAN INSPECT THAT BEAUTIFUL BMW @ ANY LOCAL BMW DEALER AND THE NEAREST ONE BY US (ERHARD BMW ) Feel free to EMAIL/TEXT/CALL with any questions 313-802 0202 (MIKE) OR 248 388 0477 (SAM)..........YOU HAVE A PRICE IN MIND?/EMAIL ME TODAY A $125 DEALER FEE IS ADDED TO FINAL PRICE/BID Will ship your vehicle to your desired destination anywhere in the states at dealer discounted hauler/freight services. Areas are as follows which include neighboring/surrounding states as well. N.Y area- $550 Florida area- $650 Texas area- $750 California area- $900 This vehicle will come with a FREE 3 months/4,500 mile POWER TRAIN warranty which includes ENGINE/TRANSMISSION/ALL MAJOR COMPONENTS AND SO MUCH MORE and is once again FREE OF NO CHARGE TO YOU! Extended warranties available upon request as well. Note: Please note that when bidding over $25,000 on any vehicle, ebay will need to verify your info so do not wait until the last minute to place your bid as it could lock you out of the bidding process as verification could take up to 2 minutes, thanks. ***********Note: Please do not place a bid on these vehicles and ruin our auctions and a fair chance for other bidders unless you have been PRE-APPROVED by your bank/credit union on Rebuilt title vehicles ...This is a NO TOLERANCE policy and you will get reported to Ebay for non payment!!! ************ ATTENTION : NY RESIDENTS PLEASE NOTE......STATE OF NEW YORK REQUIRES A RE-INSPECTION OF ANY IMPORTING OUT OF STATE VEHICLE THAT IS REBUILT OR PREVIOUS SALVAGE TITLE WHICH CAN TAKE UP TO 2-3 MONTHS PROCESS TO OBTAIN NY PLATES.....AS A MICHIGAN REGISTERED DEALER,WE CANNOT AND WILL NOT ISSUE MORE THAN 1 TEMPORARY TAG(GOOD FOR 15 DAYS) , SO PLEASE CONSIDER THIS WHILE BIDDING ON OUR VEHICLES At Close of Auction The successful "winning" bidder must contact us within 24 hours at (313)802-0202 after the auction has ended to verify purchase and make arrangements to complete the transaction. A non-refundable deposit of $500 is required to PayPal account within 24 hours of auction end. We will not "hold" any vehicle without the deposit, without this deposit, all vehicles will remain advertised, listed, and available for sale and the buyer will be reported to eBay for non-payment. Non-paying bidders will be dealt with according to eBay Rules, local law, and may include, but are not limited to, legal action and applicable fees, loss of deposit or any other necessary costs. The remaining balance should be paid within 7 days after the auction has ended, if buyer needs more time must notify us (seller). We have the right to cancel the sale and re--list the vehicle with loss of deposit unless another agreement has been made between buyer and seller. Bidders are entering into a legal and binding contract to purchase the vehicle described above. If you plan on applying for a loan, please get approval from your bank before bidding...... We can help with loans but we prefer that you get your own loan so please contact us in advance since it might take several days to get approval. Full payment must be received within 10 business days of the end of auction. Payment must be either by cashiers-check, cash or certified funds. If funds are not received, and an alternate arrangement has not been made, the vehicle can and will be made available to other potential buyers on a first-come, first-serve basis. Disclaimer All vehicles are sold As Is, with no warranties expressed or implied (except when we offer, by seller. As with any used vehicle, minor signs of wear may become more obvious under close inspection, such small chips or nicks, light scratches or minor abrasions, wheel scuffs, and other indications of normal wear and tear. We will not and cannot be held liable or responsible for these issues. We reserve the right to cancel bids and/or our auction at any time for any reason. Terms and Conditions of Sale We do our best to describe each vehicle and include detailed pictures. But remember that these vehicles are pre-owned and not brand new and we might miss something so we do highly recommend that you ask questions prior to end of auction or you are welcome to inspect the vehicle at any mechanic of your choice or the dealership or send your private inspector prior to the end of the auction. It is the customer's responsibility to inspect the vehicle before purchasing and not after. - Our cars are listed locally so we reserve the right to sell this vehicle locally prior to the end of any listing. Cars are demonstrated and/or test-driven on a daily basis and therefore may have more mileage upon delivery than indicated in original listings. 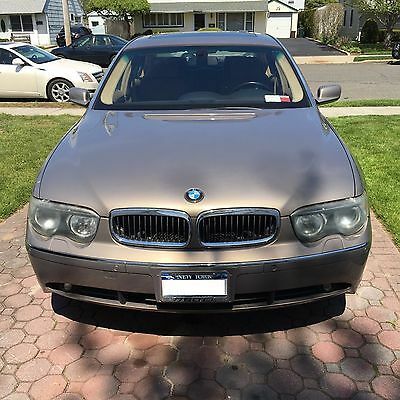 - All transactions are subject to a Document fee of $125.Your AutoCheck Vehicle History ReportReport Run Date: January 10, 2017 5:36:52 PM EST2012 BMW 7 Series 750Lxi / Alpina B7Calculated Owners: 2Class: Upscale - PremiumEngine: 4.4L V8 DICountry of Assembly: GermanyVehicle Age: 5 year(s)Calculated Owners: 2VIN: WBAKC8C59CC437324Year: 2012Make: BMWModel: 7 Series 750Lxi / Alpina B7Style/Body: LWB / Sedan 4DThis vehicle's AutoCheck ScoreThe AutoCheck Score is a summary of your vehicle's history. It lets you compare similar vehicles with ease. About the AutoCheck ScoreThis vehicle is not AutoCheck Assured™This vehicle is not AutoCheck Assured™. Due to astate title brand or other major problem reported. Accident CheckReported accidents: 0State Title Brand and Other Problem CheckTitle brand(s) or other major problem(s) reportedOdometer CheckYour vehicle checks out:Last Reported Odometer Reading: 6,404Vehicle Use and Event CheckSpecific vehicle use(s) or events reportedView Detailed HistoryAccident CheckNot all accidents / issues are reported to AutoCheck.Your Vehicle Checks Out: There have been no accidents reported to AutoCheckfor this 2012 BMW 7 Series 750Lxi / Alpina B7 (WBAKC8C59CC437324). AutoCheck receives its accident data from government sources and independent agencies, and based on the information available to us, we have found that no accidents have been reported on this vehicle.State Title Brand and Other Problem CheckProblem Reported: AutoCheck's database for this 2012 BMW 7 Series 750Lxi / Alpina B7 (WBAKC8C59CC437324) shows a title brand reported by a state agency or other negative event reported by a data source that is not a state agency. When displayed on AutoCheck, these events can indicate serious past damage or other significant problems and disqualify the vehicle for AutoCheck Assured status. Review the Vehicle Use and Event Check for reported accidents.4 Problem(s) Reported:15 State Title and Other Problem areas checked:No abandoned recordDamaged or major damage incident recordNo fire damaged recordNo grey market recordNo hail damage recordInsurance loss or probable total loss recordNo junk or scrapped recordNo manufacturer buyback or lemon recordOdometer problem recordNo rebuilt or rebuildable recordSalvage or salvage auction recordNo water damaged recordNo NHTSA crash test recordNo frame or structural damage recordNo recycling facility recordOdometer CheckYour Vehicle Checks Out: AutoCheck examined the reported odometer readings reported to AutoCheck for this 2012 BMW 7 Series 750Lxi / Alpina B7 (WBAKC8C59CC437324) and no indication of an odometer rollback or tampering was found. AutoCheck uses business rules to determine if reported odometer readings are significantly less than previously reported values. Not all reported odometer readings are used. Title and auction events also report odometer tampering or breakage.0 Problem(s) Reported:MileageDate Reported909/13/20125,38509/09/20156,40409/09/20156,40401/12/2016Vehicle Use and Event CheckInformation Reported: AutoCheck shows additional vehicle uses or events reported to AutoCheck for this 2012 BMW 7 Series 750Lxi / Alpina B7 (WBAKC8C59CC437324). This includes reported vehicle uses such as rental or lease, and events such as whether the vehicle has been reported to have had a loan/lien or a duplicate title issued. Other events show if the vehicle has a reported accident and how many calculated accidents or if it has been reported stolen or repossessed. It is recommended to have pre-owned vehicles inspected by a third party prior to purchase.0 Event(s) Reported:6 Vehicle uses checked:No fleet, rental and/or lease use recordNo taxi use recordNo police use recordNo government use recordNo livery use recordNo driver education record1 Event(s) Reported:9 Vehicle events checked:No accident record reported through accident data sourcesNo corrected title recordNo duplicate title recordNo emission/safety inspection recordLoan/Lien record(s)No fire damage incident recordNo repossessed recordNo theft recordNo storm area registration/title recordDetailed Vehicle HistoryCalculated Owners: 2Below are the historical events for this vehicle listed in chronological order. Any discrepancies will be in bold text.Report Run Date January 10, 2017 5:36:52 PM ESTVehicle: 2012 BMW 7 Series 750Lxi / Alpina B7 (WBAKC8C59CC437324)Event dateLocationOdometer readingData SourceDetails07/25/2012NEW ROCHELLE, NYMotor Vehicle Dept.REGISTRATION EVENT/RENEWAL09/13/2012NY9Motor Vehicle Dept.TITLE01/07/2014NEW ROCHELLE, NYMotor Vehicle Dept.REGISTRATION EVENT/RENEWAL09/09/2015SPRING VALLEY, NY5,385BMW Authorized CenterVEHICLE IN DEALER INVENTORY (COLOR REPORTED AS BLUE)09/09/2015SPRING VALLEY, NY6,404BMW Authorized CenterVEHICLE IN DEALER INVENTORY (COLOR REPORTED AS BLUE)09/18/2015BROOKLYN, NYMotor Vehicle Dept.REGISTRATION EVENT/RENEWAL01/12/2016BROOKLYN, NY6,404Motor Vehicle Dept.TITLE (Lien Reported)05/06/2016NYAuto Insurance SourceVEHICLE REPORTED AS TOTAL LOSS VEHICLE LOSS CAUSED BY COLLISION10/25/2016ALBANY, NYMotor Vehicle Dept.TITLE (Lien Reported) SALVAGE POSSIBLE TOTAL LOSS - VEHICLE TITLED/REGISTERED TO AN INSURANCE COMPANYThis Vehicle's GlossaryBelow are the specific definitions for events that appear in this vehicle's report. More information is available in the full AutoCheck glossary.TermSection LocationDefinitionDamagedState Title Brand and Other Problem CheckThe vehicle has sustained significant damage to the body and/or mechanical components.Odometer ProblemState Title Brand and Other Problem CheckThe vehicle has odometer-related problems. These may include discrepancies such as not actual miles, a broken odometer, exceeding a vehicle’s mechanical limits, a mileage discrepancy, or suspect miles.Insurance or probable Total LossState Title Brand and Other Problem CheckThis vehicle was reported an insurance loss or probable total loss due to an accident or theft.SalvageState Title Brand and Other Problem CheckA salvage vehicle is a vehicle that has been wrecked or damaged beyond repair; declared a total loss by the insurer; or declared a total loss by reason of theft. When an insurance company as a result of a total loss settlement acquires a vehicle, the insurance company must apply for a Salvage Certificate. If the owner retains possession of a salvage vehicle, the owner must obtain a Salvage Certificate before receiving a total loss statement from the insurance company.Loan/LienVehicle Use and Event CheckA loan/lien is the legal right to take and hold or sell the vehicle of a debtor as security or payment for a debt. Normally, a vehicle will have a lien due to a loan or unpaid repair bill against the vehicle. Check with the seller to ensure that the lien has been satisfied. AutoCheck Terms and Conditions This report, and any reliance upon it, is subject to AutoCheck Terms and Conditions . If you obtained the report from a dealer, the dealer has been provided with these Terms & Conditions and can share them with you. These AutoCheck Terms and Conditions are also available at any time at www.autocheck.com/terms or by writing to Experian: Experian Automotive C/O AutoCheck Customer Service 955 American Lane Schaumburg IL 60173About AutoCheck AutoCheck vehicle history reports by Experian Automotive is the leading vehicle history reporting service. With expert data handling, the Experian Automotive database houses over 4 billion records on a half a billion vehicles. Every AutoCheck vehicle history report will give you confidence when buying or selling your next used vehicle, with superior customer service every step of the way.Patent Notice Certain aspects of this vehicle history report may be covered by U.S. Patent 8,005,759. Available for Sale is a 2002 BMW M3 Convertible. This car is in Good Condition for its age. This car has 125k miles, cold a/c, gray exterior, along with black leather interior. Car shows beautifully. To many features to list, please give me a call for more information Ant 646-961-0039. Will accept CASH only upon pickup. Please no low ballers or solicitors. Serious inquiries only. Car is priced to sell. Thanks. 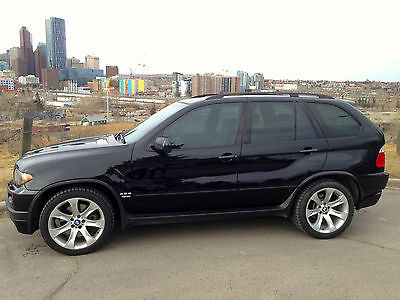 BMW : X5 X5 4.8is BMW X5 4.8is in great condition comes with two sets of rims and tires!! Normal.dotm 0 0 1 71 409 Palmer West Chiropractic School 3 1 502 12.0 0 false 18 pt 18 pt 0 0 false false false 2006 BMW X5 4.8is with lots of room and power!! Great condition! Two sets of rims and tires! One set of BMW 20" black rims with low profile sports performance tires. One set of BMW 20" rims with low profile pirelli winter tires. Full transferable comprehensive warranty included. Black leather interior, dual climate control, memory and heated seats, airbag raising and lowering system, trunk cargo sliding tray, tinted windows, Navigation CD included. Copies of all past services available. 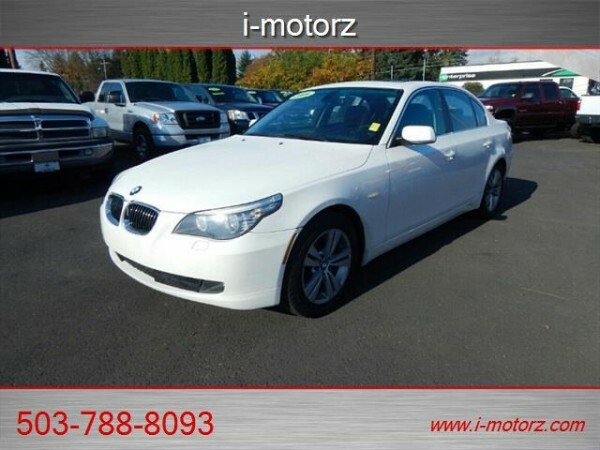 AUCTION ITEM: * * * 2012 BMW 750 Series LI M-Sport* * * * VIN# WBAKC8C58CC436780 * TITLE= CLEAR * COLOR EXTERIOR: SILVER * COLOR INTERIOR: - Charcoal Grey w/ Black Leather Mileage = Actual at 54,126 Sunroof, Leather Seats, CD Player Anti-Lock Brakes, Driver Airbag, Passenger Airbag, Side Airbags Air Conditioning, Cruise Control, Power Locks, Power Windows, Power Seats Engine = 4.8L V8 DOHC 32V Transmission = Automatic Rare M-Sport Package, GPS Navigation System, Color Rearview Backup Camera, Bluetooth Handsfree Link, Harmon Kardon Logic7 Premium Surround Sound System, Heated and Cooled Ventilated Front Seats with Massage Feature, Automatic Transmission with Tiptronic Shifting Capabilities, Sport Drive Mode, Bi-Xenon Headlights with Angel Eyes, Much More! Absolute Beauty! 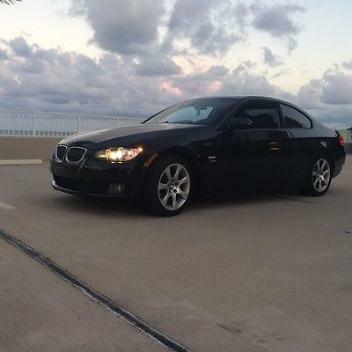 Asking = $39,995 Yes Comes w/ the factory manufacturer original window sticker / Along with manuals etc., *** This stylish BMW has been recently updated with tinted windows as well *** Yes, Everything is operational on all functions. This vehicle is clean No leaks, No noises or unusual smells of any kind. Mechanically sound & Needs Nothing! *IF YOU HAVE ANY CONCERNING QUESTIONS THAT I HAVEN'T ADDRESSED, PLEASE FEEL FREE TO ASK BEFORE BIDDING. * Special Note: We do have the right to end auction early when sold locally. Thank you *THIS VEHICLE IS AVAILABLE FOR VIEWING OR TO BE TEST DRIVEN AT : 1825 EAST MANSFIELD STREET BUCYRUS OHIO 44820-2019 or EVEN CHECK US OUT ON THE WEB http://ohiospecialty.com BY APPOINTMENT PLEASE CONTACT COLBY AT 419-989-9262 or Allen at 614-562-3918 BETWEEN 8AM - 5PM MONDAY THROUGH - FRIDAY. SATURDAY AND SUNDAY BY APPOINTMENT - PAYMENTS OF ACCEPTANCE : CERTIFIED CHECK, PAYPAL, CASH, PERSONAL CHECK UPON APPROVAL AND CLEARING - DEPENDING UPON YOUR BANK. WINNING BUYER IS REQUIRED A $500 DEPOSIT WITHIN 48 HOURS OF AUCTIONS END. THE FULL BALANCE DUE WITHIN 7 DAYS OF AUCTIONS END. FOR NON PAYING E-BAY BUYERS; YOU'LL BE REPORTED FOR NON PAYMENT SO ANY FEES FOR ADVERTISING WILL BE REIMBURSED TO SELLER. PLEASE NOTE: THIS ITEM IS TO THE BUYER'S RESPONSIBILITY FOR DELIVERY. IF YOU LIVE WITHIN THE STATE OF OHIO AN ADDITIONAL DELIVERY CHARGE ($$) CAN POSSIBLY BE WORKED OUT. FOR ANY DETAILS FOR LOCAL DELIVERY PLEASE CONTACT J.R. AT 1-419-569-9044 FOR ALL ARRANGEMENTS PRIOR TO BIDDING. PLEASE NOTE: THAT THEIR WILL BE AN ADDITIONAL ADDED OHIO SALES TAX TO THE FINAL SALE PRICE THAT APPLIES ONLY TO OHIO RESIDENTS. TAX RATES MAY VARY FROM COUNTY TO COUNTY. IF YOU MAY HAVE ANY CONCERNING QUESTIONS ABOUT THIS ITEM OR ANY OTHER ITEMS LISTED, FEEL FREE TO ASK. WE CHECK MESSAGES DAILY AND WILL QUICKLY REPLY. THANKS FOR VIEWING AND GOD BLESS! 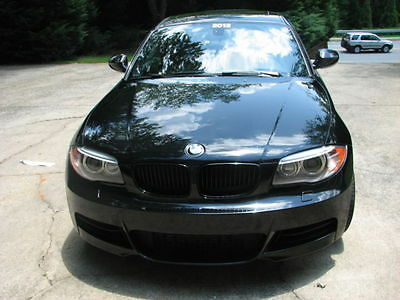 I recently purchase this 135i M Sport, but due to personal circumstances I need to sell it. The car is fantastic. And if you know the N55 motors that these come with you know what you're getting. Car is super quick. Looks amazing. Only 16k miles on it. Still has BMW factory warranty until middle of 2015. No mods. Wheels have zero rash and tires still have 60-70% tread left. The car comes with Premium package. Premium Harmon Kardon Sound System. The interior looks absolutely new. I just had the windows tinted as well. Please feel free to email me any questions. I am willing to help out with setting up shipping. I have shipped many cars and have some contacts. Thanks!